*Terms and Conditions: 1. Consumer must purchase £3,999 of Crown Imperial furniture (based on current retail price list at time of placing order) and a Franke sink. 2. 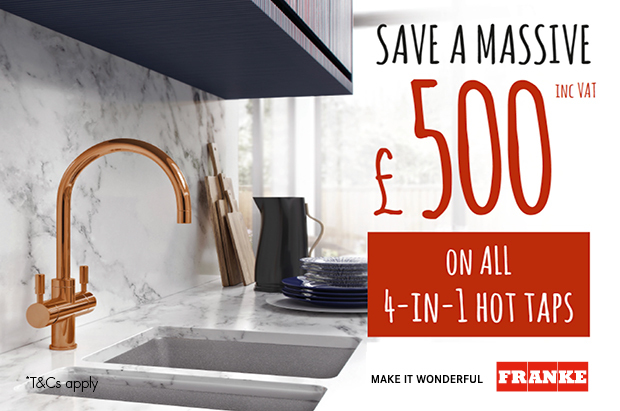 Choose from any 4-in-1 taps and save £500 (retail inc VAT). Models shown above. 3. Offer cannot be used in conjunction with Franke sink and tap pack offers. 4. Orders must be delivered by Friday 27th September 2019. 5. We reserve the right to end the promotion at any time. 1. 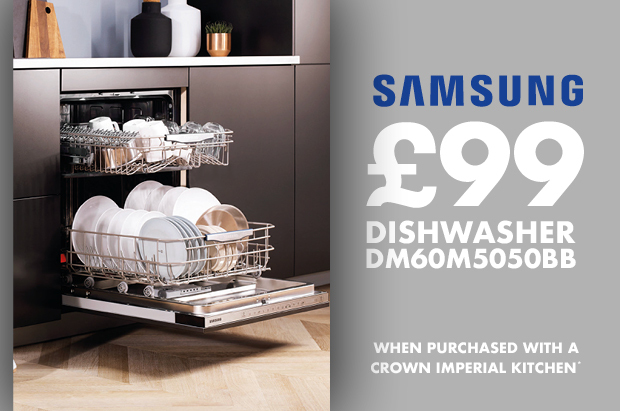 Consumer must purchase £3,999 of Crown Imperial furniture (based on current retail price list at time of placing order), a Samsung oven and any Samsung hob. 2. 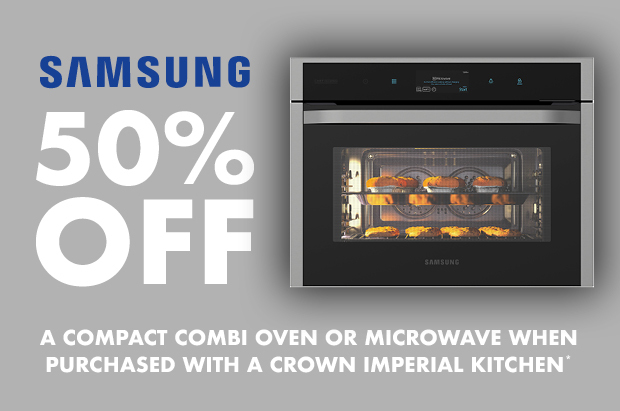 Buy a Samsung Gourmet, Dual Cook Flex™ or Dual Cook oven with any Samsung hob and get up to 50% off a Samsung compact combination oven or Samsung compact microwave. 3. Appliance models included in the promotion are indicated with a multi-buy symbol. 4. Promotion ends Friday 28th June 2019. 5. We reserve the right to end the promotion at any time. Consumer must purchase £3,999 of Crown Imperial furniture (based on current retail price list at time of placing order). Dishwasher model is the DW60M5050BB. Waterline Limited reserve the right to substitute the model offered to one of equivalent value. £99 is the retail value including VAT. Promotion ends Friday 27th September 2019. We reserve the right to end the promotion at any time. 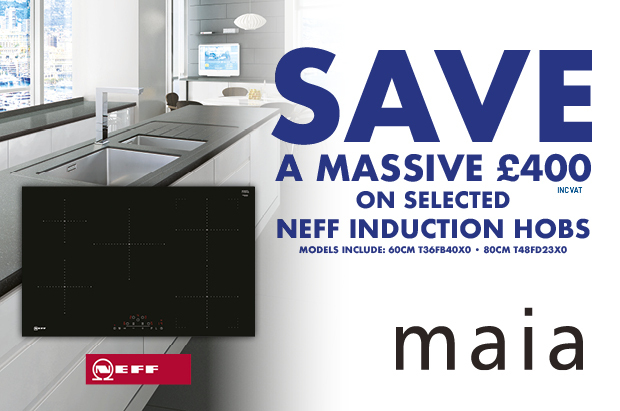 This promotion can be combined with the “50% off a Samsung compact microwave” offer if delivered by Friday 28th June 2019. * Terms & Conditions: Consumer must purchase £3999 of Crown Imperial furniture (based on current Retail List Prices including VAT) AND two Minerva 3050×600/650x25mm Worksurfaces from Price Group 2 or the equivalent value to qualify. Orders must be delivered between April 1st and 28th June 2019. Promotion only available while stocks last. Hob supplied may be an equivalent to model shown (T36FB40X0/T48FD23X0). We reserve the right to end this promotion at any time. Offer cannot be combined with any other offers. All offer values INCLUDE VAT. 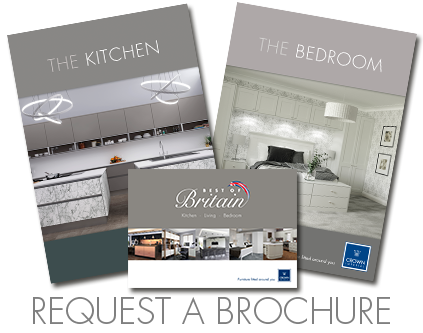 * Terms & Conditions: Consumer must purchase £3999 of Crown Imperial furniture (based on current Retail List Prices including VAT) AND two Maia 3600x600mm Worksurfaces in any thickness or the equivalent value to qualify for this offer. Orders must be delivered betweenApril 1st and 28th June 2019. 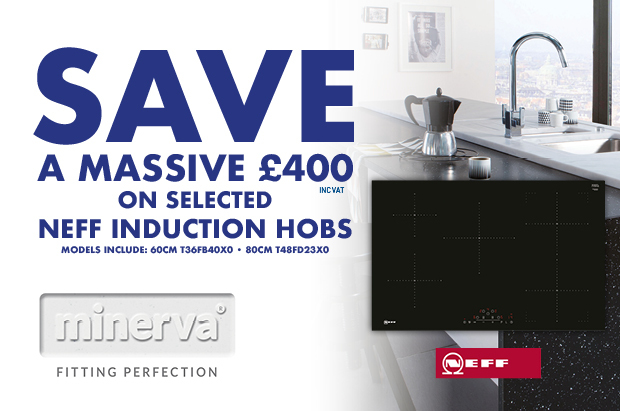 Promotion only available while stocks last.Hob supplied may be an equivalent to model shown (T36FB40X0/T48FD23X0). We reserve the right to end this promotion at any time. Offer cannot be combined with any other offers. All offer values INCLUDE VAT. * Terms & Conditions: 1. 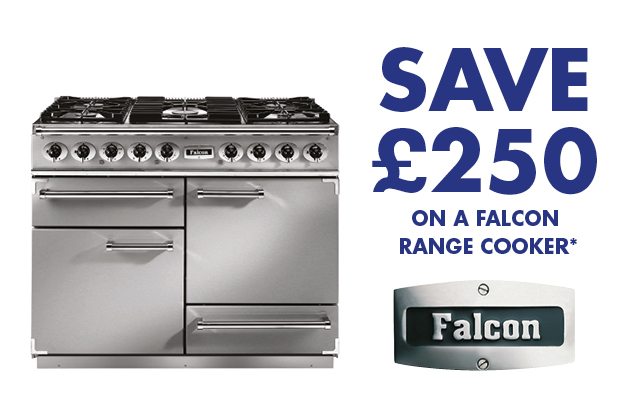 Save £250 on a Falcon Range Cooker when purchased with a Crown Imperial Kitchen. £250 retail including VAT. 2. Consumer must purchase £3,999 (including VAT) of Crown Imperial furniture (based on current Retail List prices). 3. Promotion ends 28th June 2019. 4. Please quote voucher FAL250 when ordering. 5. We reserve the right to end this promotion at any time. 6. Offer can be combined with other Crown offers. 7. Promoter: Waterline Ltd, Crown House, North Crawley Road, Newport Pagnell, Buckinghamshire, MK16 9TG. * £200 retail inc VAT. Terms & conditions 1. 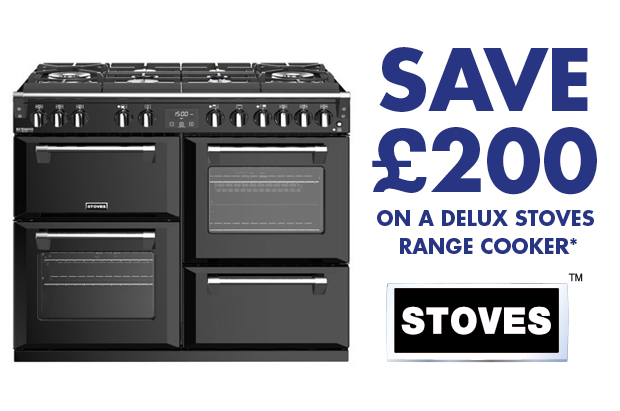 Save £200 on a Stoves Deluxe Range Cooker when purchased with a Crown Imperial Kitchen. £200 retail including VAT. 2. Consumer must purchase £3,999 (including VAT) of Crown Imperial furniture (based on current retail price list at time of placing order). 3. Promotion ends 28th June 2019. 4. Please quote voucher ST200 when ordering. 5. We reserve the right to end this promotion at any time. 6. Offer can be combined with other Crown offers. 7. Promoter: Waterline Ltd.